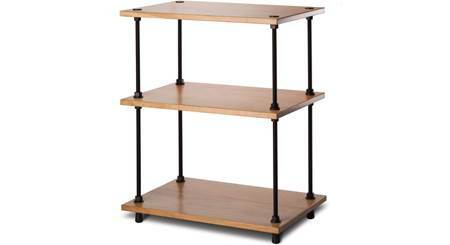 2 Shelf Audio Rack: The Solidsteel S3-2 audio rack features 2 fixed shelves. 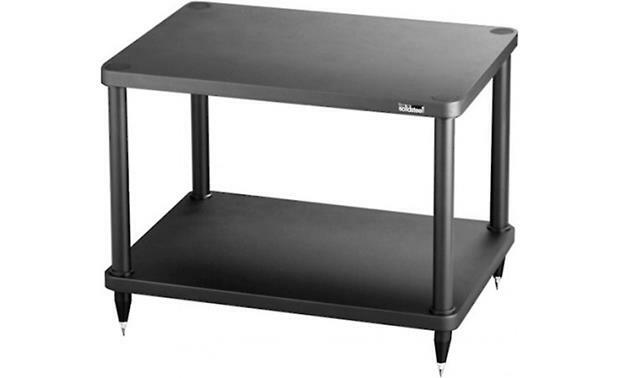 The overall height of the rack, and the distance between each shelf, has been carefully calculated to achieve an optimum balance of acoustics and aesthetics. 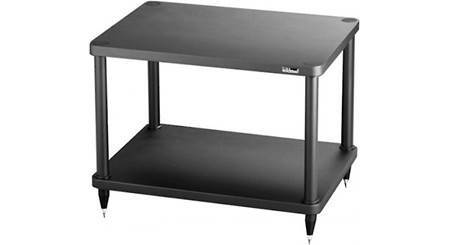 Top Shelf: The top shelf measures 23" (w) x 18.3125" (h) x 16.9375" (d), and can support up to 130 lbs. 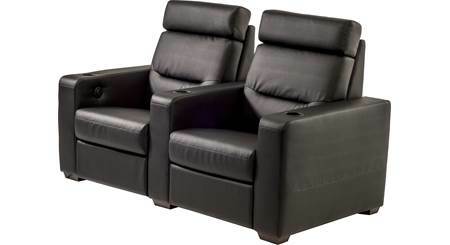 Bottom Shelf: The bottom shelf measures 19.75" (w) x 12.8125" (h) x 16.9375" (d), and can support up to 130 lbs. 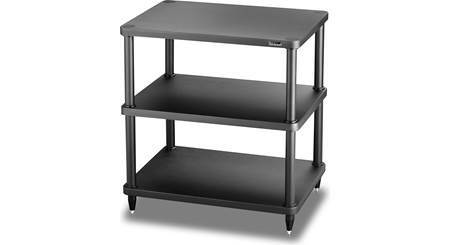 Aluminum & MDF Construction: The 2-shelf audio rack features an aluminum 4-pillar structure with shelves made of 1.18" MDF (medium density fiberboard). The benefits of MDF include a much higher damping factor and superior rigidity over time. Each pillar is filled with a special damping material until it is in "tune" with the MDF shelves for acoustic balance. The aluminum 4-pillar structure & MDF shelves are both finished with a black polymer laminate, or available with walnut veneer shelves. 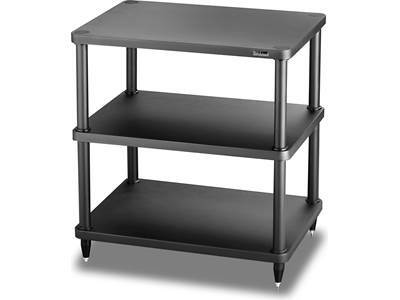 3-shelf audio/video stand for TVs up to 40"